Many times they’ve spent many thousands of dollars devising the idea, designing, and promoting it. 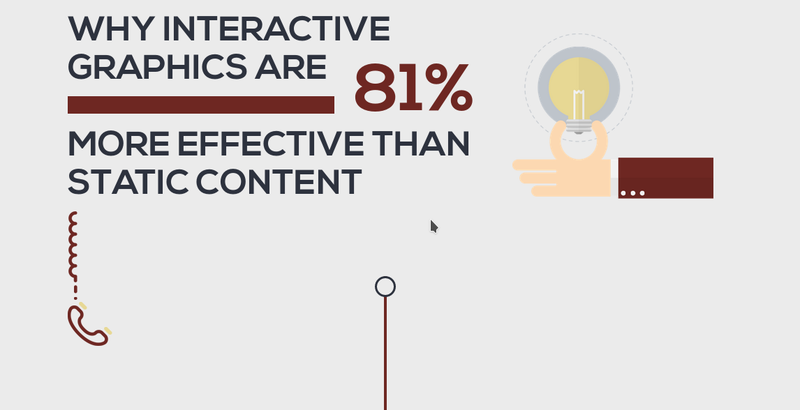 Our interactive infographic service lets you bring a similar premium look and quality to your creative ideas, without eating into your valuable profit margins, or spending weeks planning and coming up with ideas. Our team take care of everything from suggesting ideas for a suitable linkbait, to writing and researching the content. We never share our actual client work – both to protect those who resell and to protect those who are marketing their confidential authority sites and don’t want others ‘borrowing’ their ideas. But we did knock a couple together to show you what the end product looks like! The brief we decided on for this design was a colourful, and lively piece with a strong and bold header area. Animations were to be crisp and gain attention, and we deliberately mixed them up just to give you some ideas. The second sample we looked to present the linkbait – which is effectively a ‘curation’ linkbait of stats and sources for the topic – in a classic, understated way. We used a simple animation to draw attention to the key facts, and a nice balloon effect to demonstrate expanding the information to read more. If you love our standard pieces and are ready to get rolling with a beautiful linkbait to turbocharge your campaign (and get you a 10% bonus on any order 10-24 links if you order links from us on any package) just send us over your site details and we’ll do all the hard work for you. Or If You Want Your Innovative, and Completely Custom Vision To Be Created, Uniquely To Your Spec. Just let us know what you want, with our ultra premium linkbaits starting at just $1,250 we can design and code your campaign’s vision, whatever it is. Guaranteed extras with ultra premium include: 3-5 custom animations/graphics, depending on complexity, (not just the header area, but throughout the linkbait) or one complex data representation as well as a stylish animated header and copy. We Aim to Deliver a Fast, Flexible Service For All Our Clients. You can have one, no questions asked, round of reasonable revisions to adjust the design from our concept to the final version. Heavy revisions or a full redesign are only offered if we have not met the original specification. Responsibility for providing reasonable requirements and instructions lies with the ordering agency or business. Can You Tackle Larger/Custom Projects? Some of our clients request heavily custom designs. These typically cost from $197-$597 extra with most being around $297 extra. 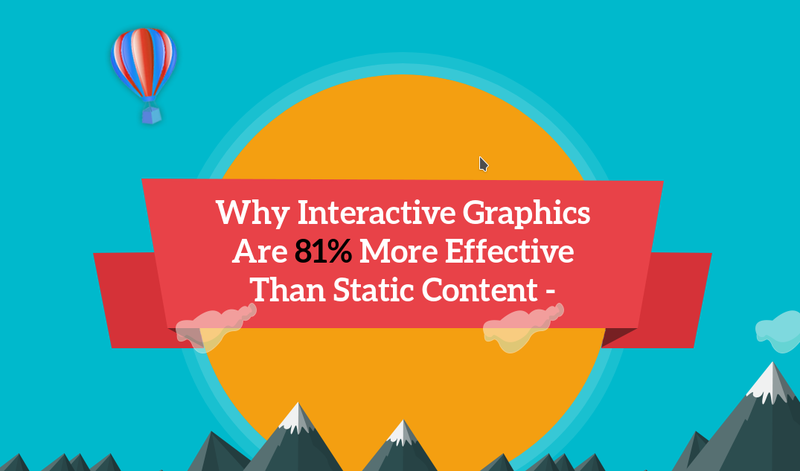 This can include more interactive features such as graphs the user can interact with to dig deeper into the data, or clever interactive data visualizations. What’s The Typical Turnaround Time? We aim to deliver all linkbait in between two and three weeks. Heavily custom projects may take a little longer. This fits in nicely with most agencies monthly billing cycles with clients and allows you to plan to move onto your promotion phase promptly. As you can imagine, the performance of any individual linkbait is highly dependent on the way you use it, and promote it as well as the general appeal of your site to influencers and webmasters. While we are fully confident in our ability to gain a 10% boost in links for the same price, we do not guarantee that you will achieve the same results as our team of professional outreach consultants do. Extra links is subject to an order where you select a topic agreed with us. Custom orders must be approved for a link bonus. Stats quoted on the samples and this page are typical stats from external sources and are referenced at the time. Performance of your linkbait may vary.